Listen to some of our favourite Disney love songs sung without any backing music. The result is beautiful. Disney songs always hold a special song in our hearts but this is Disney how you've never heard it before. 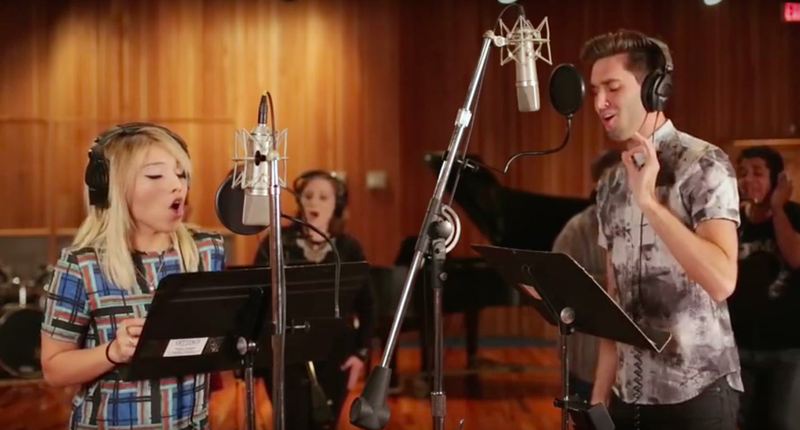 Voctave, an a cappella group from the US, collaborated with Kirstin Maldonado of Pentatonix and her boyfriend Jeremy Michael Lewis and put together this magical, medley arrangement of Disney songs from Tangled, Tarzan and Hercules. Their pitch-perfect rendition of Tangled's 'I Can See The Light', Tarzan's 'You'll Be In My Heart', and Hercules' 'Go The Distance' will absolutely melt your heart. Watch the video above and try not to get too emotional!